When you use RockMyRun, fatigue shouldn’t feel like a door-to-door salesman casing your neighborhood for the opportune moment to come around and spoil your day. To keep fatigue (and unwanted interruptions) at bay, it’s our job to ensure you always get right music at the right time so you never hear Metallica when you’re in the mood for Katy Perry. That’s why we’ve been working round-the-clock to roll out our latest iOS update. No longer will you be forced to choose music based solely on genre. 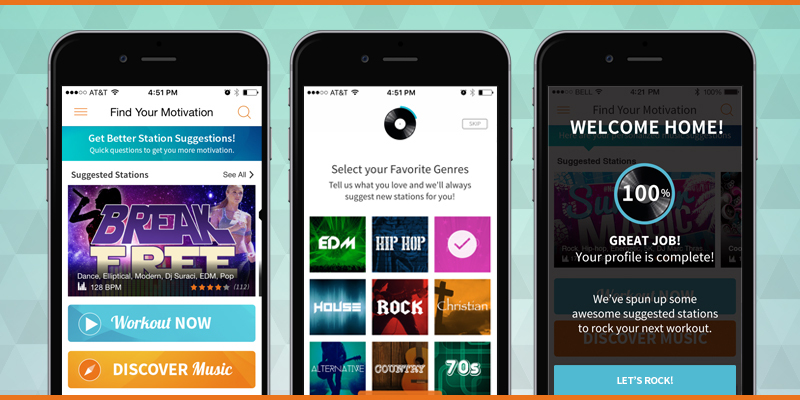 Now, you can discover mixes with an assortment of new options and set your preferences so you always get mixes you want, when you want them. 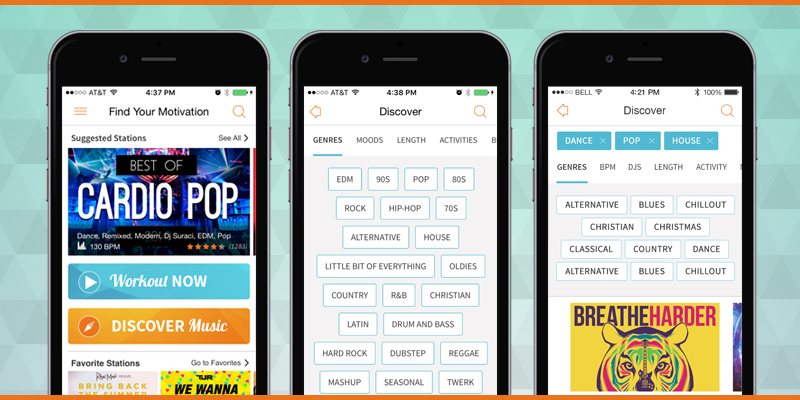 Unearth new favorites by tapping the “Discover Music” button on the home screen. Here, you can use tags to filter mixes by genre, mood, length, activity, BPM, and (if you’re like us and just can’t get enough from DJ Marc Thrasher) by DJ. Once you’ve selected your gotta-have-it tags, you’ll be given a list of stations to meet your specific tastes. We recommend choosing 2-3 tags to start (e.g., ”Feel Good” and “Country”), then explore the matched stations at the bottom of the screen. If you still aren’t finding your jam, add another tag or try a new combination until you discover your SoulMix. Next time you open the app, you’ll probably see a little banner telling you to set your preferences. When you tap it, you’ll be asked to answer a few questions about your tastes so we can deliver recommendations perfectly tailored to your needs. Love running to Hip Hop at 160 BPM? Or maybe fist-pumping Rock perfect for weight-lifting is your sweet spot? Ask and you shall receive. It’s our mission to keep fatigue at bay and put a smile on your face while you achieve your goals. That’s why we’ve made these changes. Enjoy a new, constant stream of options to stay pumped every time you use RockMyRun and never settle for a boring workout again. Ready to give it a go? If you haven’t already, update your iPhone app now to get the latest version of RockMyRun. And most importantly, drop us a line at support@rockmyrun.com to let us know how you feel about these updates!